Coach Steve Moore has guided The College of Wooster Fighting Scots to 17 straight appearances in the Division III NCAA Tournament. CLEVELAND — All good things must come to an end. 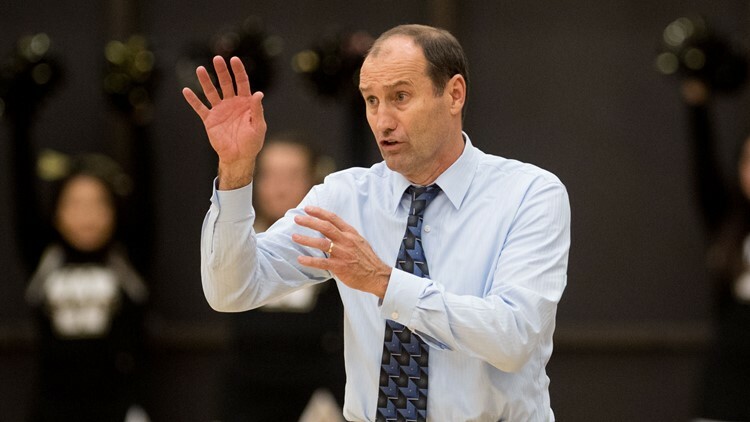 Coach Steve Moore has become synonymous with The College of Wooster men’s basketball program over the last 32 years, but the 2019-2020 season will be his final one as the leader of one of the most successful teams in NCAA Division III history. “I’ve been contemplating retirement, and I just decided that one more year would be good, and announcing at this time might seem early since it’s quite a bit before the season, but there’s been a lot of speculation by fans and even recruits,” Moore told WKYC.com. 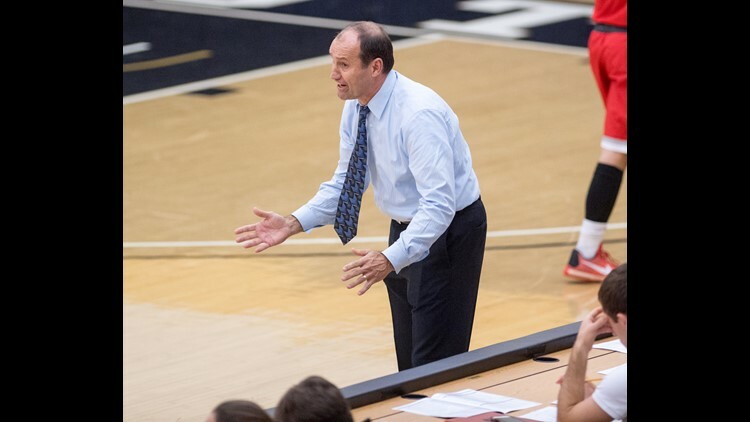 College of Wooster men's basketball coach Steve Moore expects a stern test from Baruch in the first round of the 2019 NCAA Division III Tournament. In those 32 seasons, Moore compiled a 759-180 record, moving his career mark to 846-245 with a stop at Muhlenberg College before taking over at The College of Wooster and turning the Fighting Scots into a dynasty not only in the North Coast Athletic Conference, but also, on the national scene. Moore has guided the Fighting Scots to 18 NCAC championships and 27 appearances in the NCAA Division III Tournament. “So, so many excellent, positive things have happened over the years,” Moore said. “It’s difficult to say one player was special. They all were. I’ve been fortunate to have many special moments, many special games, many special players. I’ve just been very blessed. College of Wooster coach Steve Moore expresses a point to the Fighting Scots from the sidelines of a game in the North Coast Athletic Conference. With this year’s at-large bid to the NCAA Tournament, the Fighting Scots extended their Division III record to 17 straight postseason trips. 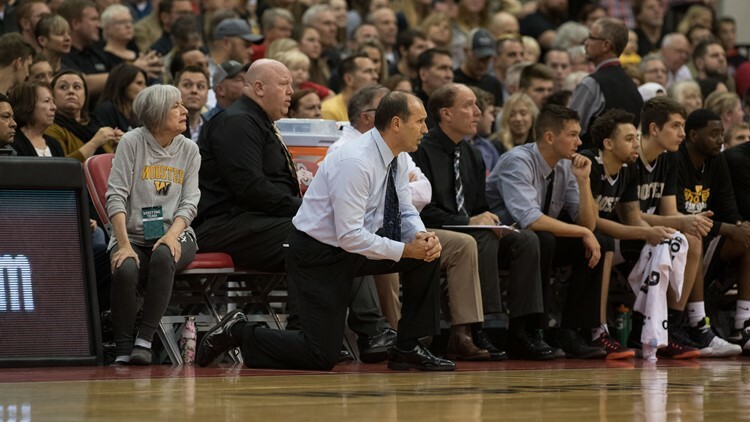 Moore has led Wooster to 11 25-win seasons in the last 21 years, including a 31-3 mark and a national runner-up finish in 2010-2011, as well as two other appearances in the NCAA semifinals (2003, 2007) and “Sweet 16” 10 times. 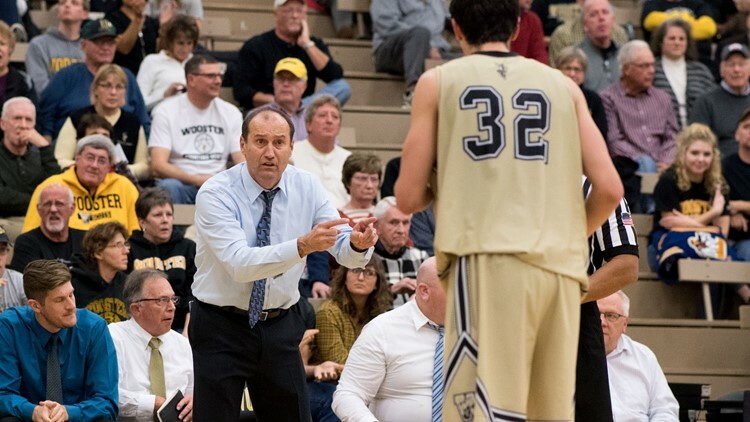 A nine-time NCAC Coach of the Year Award winner and five-time NABC Great Lakes District Coach of the Year, Moore has a .775 career winning percentage, ranking him second all-time in Division III among coaches with at least 10 years of experience. “I expect it to be pretty much the same as it’s been,” Moore said. Coach Steve Moore and the Wooster Fighting Scots are set to make their 17th straight appearance in men's Division III NCAA Tournament. While Moore will leave the program following next season, he and his wife, Jane, will remain in the area, enjoy more time with daughters Beth and Emily, as well as grandchildren Grace, Jack, Gwen and Beau, and of course, continue supporting the Fighting Scots. “The support of my family has meant the world to me,” Moore said. “It’s very difficult to be a coach’s wife, and my wife, Jane, is as good a coach’s wife as there is or there ever could be. She’s extremely supportive, and my daughters are the same way.